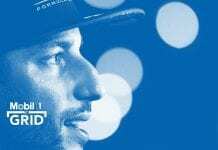 Daniel Ricciardo looks set replace Narain Karthikeyan at Hispania from the British Grand Prix onwards. The deal is yet to be confirmed by the Spanish squad, but an announcement is set to be made this evening firming up details. 21-year-old Ricciardo has acted as third driver at Toro Rosso this season, contesting FP1 for the Italian squad at all eight grand prix. 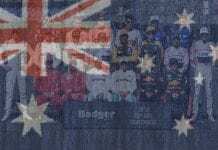 The Australian-born racer has combined that with a race-winning stint in Formula Renault 3.5 and is seen as one of the brightest prospects outside Formula One. Now he is set to make the leap to the big time with the sport’s perennial grid-proppers, joining Tonio Liuzzi for the remainder of the season. The Italian has dominated Karthikeyan all season, out-qualifying him at every attempt, but is likely to face a much tougher challenge in the up-and-coming Ricciardo. Toro Rosso had been expected to replace one of their drivers with Ricciardo during the 2011 campaign, but with both Sebastien Buemi and Jaime Alguersuari enjoying solid results thus far such a move would have been difficult to justify. 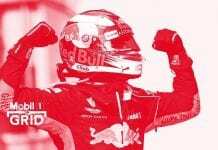 As such Red Bull will fund his seat at Hispania, bringing the Austrian energy drink’s total number of drivers on the grid to five. Karthikeyan meanwhile is thought likely to return to Hispania for a one-off appearance at the inaugural Indian Grand Prix in October with the 34-year-old’s sponsors keen to gain exposure at their local circuit. Badger Meets Sir Jackie Stewart!